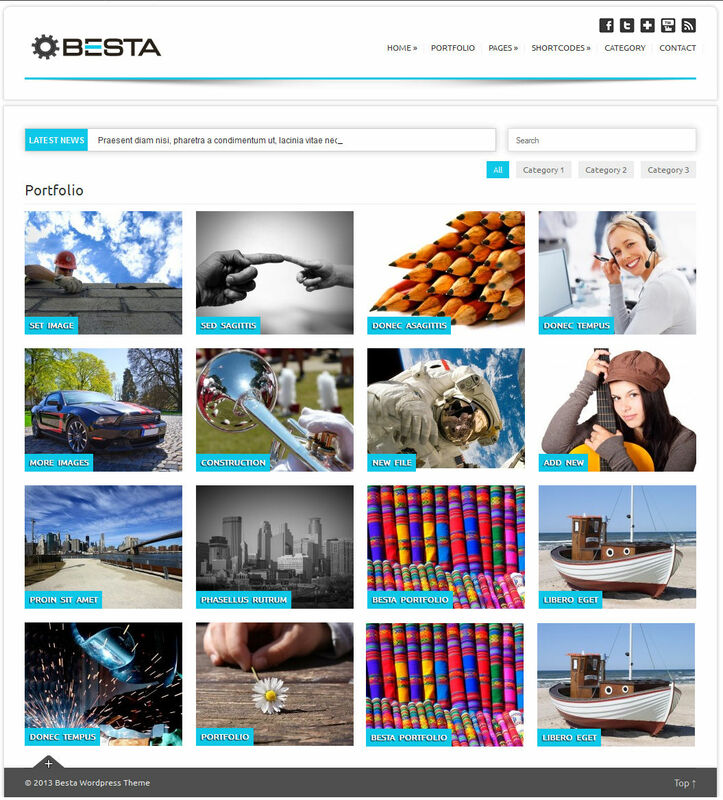 Besta  is a clean, very flexible and a fully responsive WordPress theme. Besta comes with unlimited color choices, custom backgrounds, custom widgets, sortable portfolio, enabled slider, enabled carousel and much more. Easily customizable with well structured, valid code and CSS. The width of the default page is set at 980px, perfect for most business who don’t run extra large monitors but do use laptops as do their clients. Live preview images from http://pixabay.com. Important: Images shown in Live demo are NOT included with the download. They are only for demonstration purpose. NEW - 04/07/2013*: Improved theme translation (new po/mo files). Added testimonial function. Added contact page with google map. Added advanced settings for carousel and slider. Small error fix in index.php. Added rollover photo effect. Fixed several minor bugs. Fixed small CSS issues.